Chess player in search of a game? 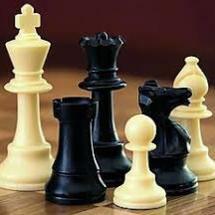 Want to learn how to play chess? Stop by the Pop Picks lounge, next to the Access Services Desk, to make one move or stick around to complete a whole game. Staff will be on hand to teach the fundamentals or challenge you to the next level.